and lots of Q&A and resources to help you with difficult project situations, wherever you are in your career. Grab access to the last PM Rebel intake for a one-off fee. "I’ve now been successful at interviews and start my new pm role in a month - your input has really helped me." 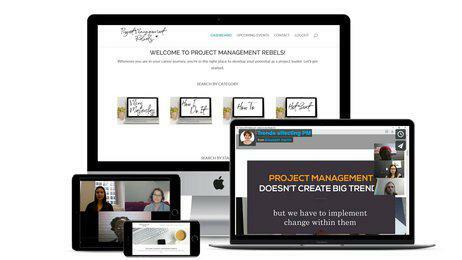 "Project Management Rebels is a great community to be a part of. I definitely recommend signing up for a cohort – it’s definitely a value-add!"